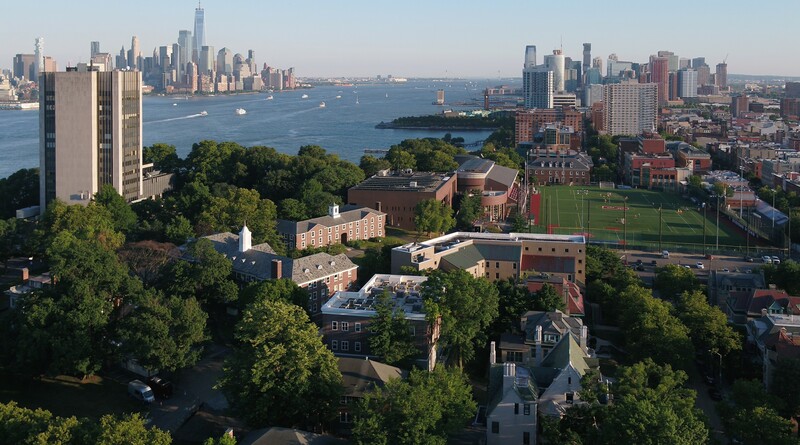 Hoboken, N.J. – Virginia P. Ruesterholz, a longtime executive at Verizon and a 1983 graduate of Stevens Institute of Technology, has been elected chairman of the Board of Trustees of her alma mater. Ruesterholz will be the first woman to hold the position of chairman at the 143- year old institution. Her term will begin in May. Ruesterholz, a chemical engineering major while an undergraduate at Stevens, holds an M.S. in telecommunications management from Brooklyn Polytechnic Institute and an honorary doctorate of engineering from Stevens (2008). She has served on the Board of Trustees since 2007 and currently serves as vice chair. Her contributions to Stevens over the decades have included serving as chair of the advisory board of the School of Systems and Enterprises; co-chair, with her spouse, Kevin, of the Edwin A. Stevens Society, where she led the dynamic membership growth of this leadership society for annual giving to Stevens; and championing an initiative which led to the Verizon Foundation’s sponsorship of a grant to launch Stevens’ K-12 engineering education initiative. With her spouse, she has also established a scholarship fund for Stevens students in the field of engineering management. Ruesterholz had a nearly 30-year career at Verizon before retiring in 2012. She began her career as a manager in one of the company’s predecessors and rose to executive vice president and president of Verizon Services Operations, a global business group that operates Verizon's wireline network as well as the finance operations, real estate, and supply chain services that support all Verizon companies. In her prior assignment, she served as president of Verizon Telecom, where she led the rollout of Verizon’s high speed fiber optic technology nationwide. “Now more than ever, the world is calling on innovators and entrepreneurs to address society’s most pressing challenges and drive economic growth. This is Stevens’ particular forte. I plan to continue the direction of the current board and Chairman Babbio, working closely with President Farvardin, to expand Stevens’ already significant footprint and impact regionally, nationally and globally,” Ruesterholz said. Ruesterholz assumes the chairmanship at a time when Stevens is accelerating its own efforts to address the historic gender gap in science, math and engineering. The university’s 10-year strategic plan lists as an objective an increase in student diversity, including raising the percentage of women in its undergraduate population to at least 40 percent by 2022. The Fall 2012 incoming class was 31 percent female, well above the national average, and a seven-point increase over just a year prior. According to the American Society of Engineering Education, Stevens is fifth in the nation in the percentage of engineering doctoral degrees awarded to women (34 percent). Ruesterholz succeeds Lawrence T. Babbio, former vice chairman and president of Verizon, whose term limit as Board chair ends in May after having served as Chairman of the Board since October 1997.